How can containerized microservices with scheduling requirements be coordinated to ensure they are powered on and off in the correct sequence? Business automation logic, state data requirements and infrastructure requirements may demand that microservices and their underlying resources be powered on and off in a specific order. Customizing this type of operational scheduling logic is complex and impractical, yet not having a pre-defined order can result in a variety of problems, including corrupted state data. The containerized microservices are deployed in a pod through which operational scheduling logic can be defined and maintained. The operational scheduling logic is pre-defined in a chain configuration that enables containers to be powered on and off within the pod. Various chaining scenarios are supported, including the option of having microservices powered on and off independently of a chain. A solution is provided that can schedule, start and stop the services and components in a specific order. To achieve this, the first step is to have control over the environment that the components reside in so that some of the configurations and functions can be determined and controlled. In addition, it needs to be ensured that the same order is followed every time a new instance of the microservice is instantiated or deployed. 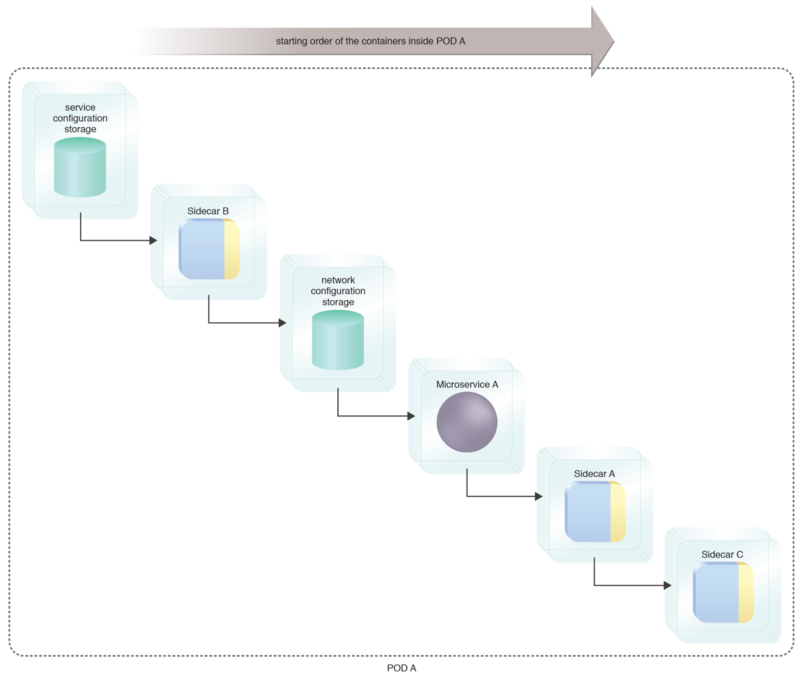 A pre-scheduled start-up sequence of Microservice A and its components. This pattern can be applied using pods and can further support the exclusion of components from the chain, as explained in the complete pattern description.